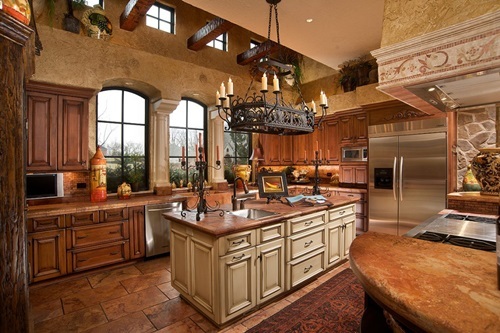 Luxury is sought after by everyone and one place capable of reflecting high sense of luxury is the kitchen. 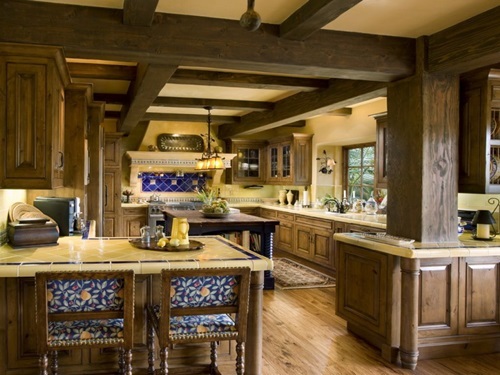 Like other kitchens interior designs, luxury kitchens interior designs must create an atmosphere that is comfortable to cook and savor delicious meals in. 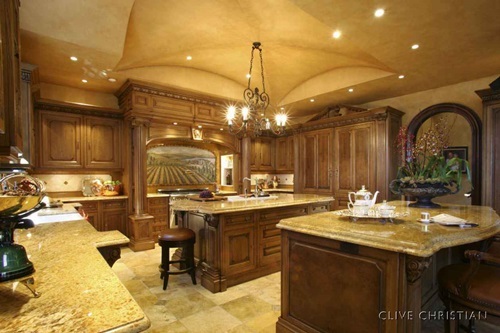 The main kitchen design factors are included in luxury kitchens but in unique style in addition to some luxurious touches. 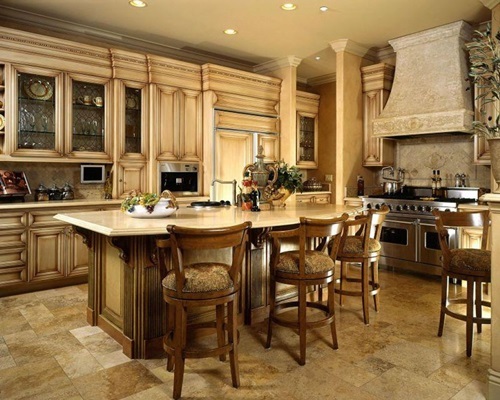 Luxurious kitchens interior design is distinguished by accurate lighting, flooring, furnishing and placing appliances plans. 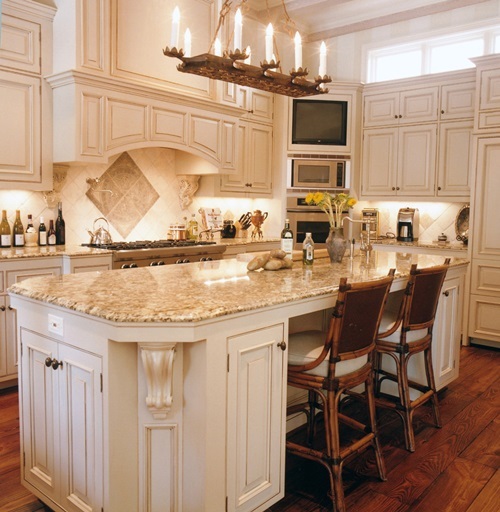 Apart from the vital task lighting next to cutting boards and other working areas, luxury kitchen lighting can be accentuated with the addition of a chandelier that will elegantly scatter light all over the kitchen. 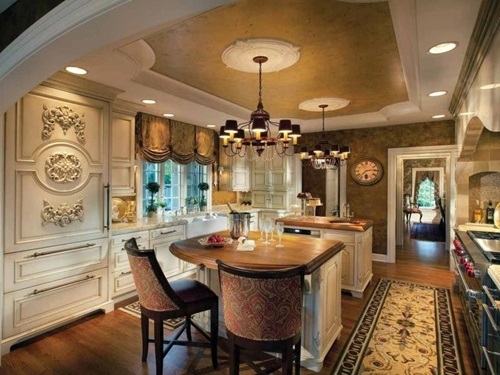 Crystal chandeliers are the most expensive and stylish luxury choices, but you can use other kinds of colored chandeliers to supply the interior design with an extra dimension. 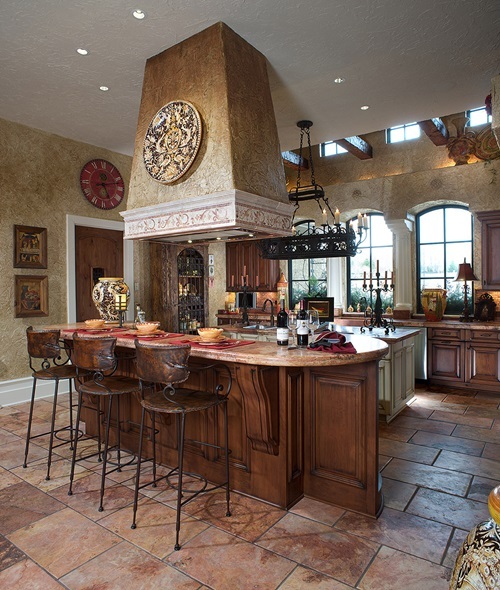 The use of luxury materials in the countertops, flooring and kitchen furniture can really make a difference on the interior design. 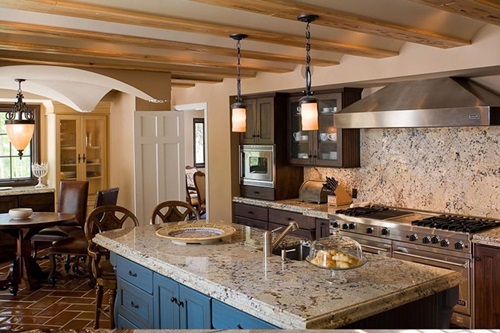 Kitchen countertop surfaces are composed of different materials such as wood, engineered stone, glass, concrete and granite. 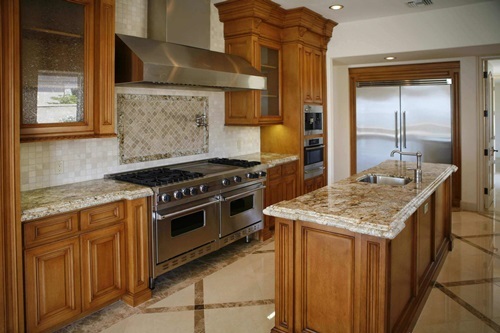 Granite countertops are the most pricey choices for luxury kitchens but they are characterized by their durability and gorgeous appearance. 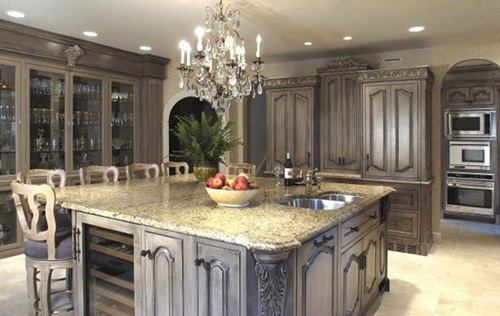 Providing the countertops with hand-made cabinets that are made of premium wood will complete the luxury sensation. 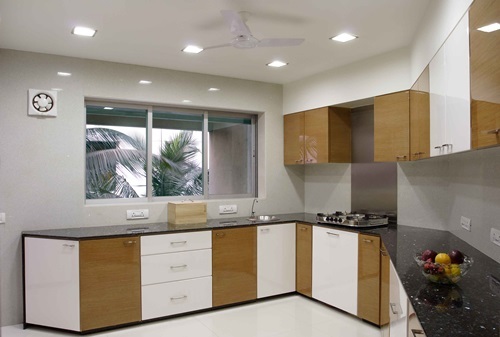 Smart use of technology is a mark of all state-of-the-art kitchens. 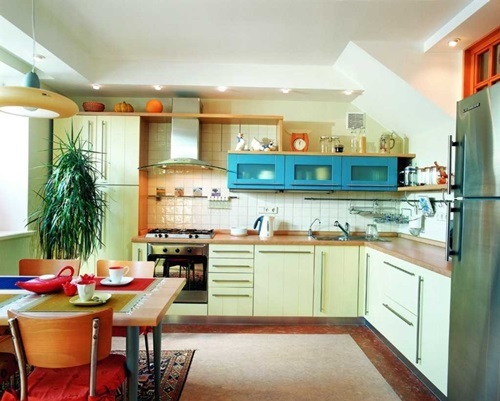 You can have cabinets that open up and close with a simple touch and have a built-in microwave. 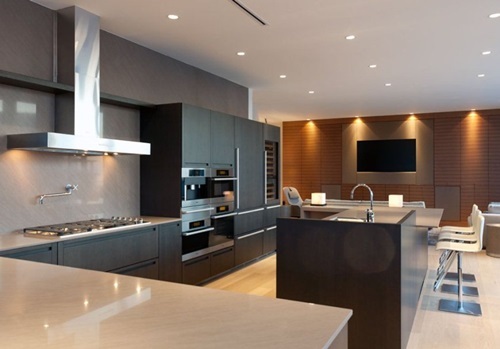 Luxury kitchens also include gadgets that aren’t available in normal kitchens like a fine Italian coffee machine. 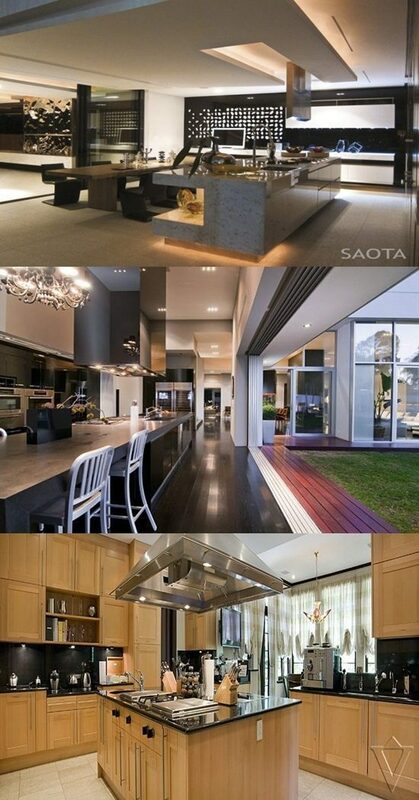 As for the appliances, you can have a smart stainless steel refrigerator that notifies you when you are out of something. 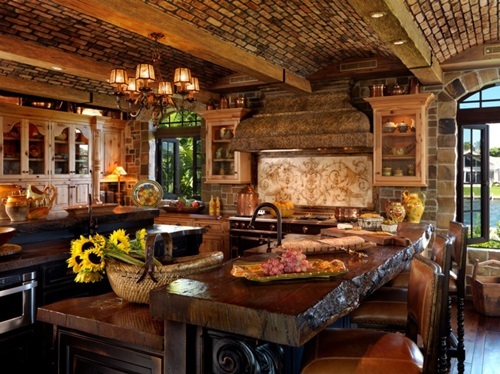 End up the interior design of your luxury kitchen by lavish accessories such as a crystal vase filled with the season flowers.